Croydon is just one of many neighborhoods in London that are worth exploring, and, you'll want a car to check out all there is to do in this city. Buses or metro, while inexpensive, drop you off far from where you wanted to go. Ridesharing can be convenient, but rural areas may not have regular service. Additionally, if you plan to go all over Croydon and the surrounding areas, the cost can add up. If you want the simplest way to get around town at a great price, then you're in the right spot. CarRentals.com works with the most dependable dealers, like Thrifty, to not only get you the auto you desire for your vacation, but also get you the best price. We can help your trip get off on the right foot. 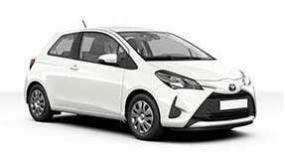 How do I get a Croydon Thrifty car rental at a great price? Which forms of identification do I need when I get my rental car in Croydon? What's 's minimum age to rent a car Croydon? Thrifty's minimum age to rent a car is 21. Some rentals, especially higher category vehicles (luxury, SUVs, etc. ), may have an added fee if you are under 25. Take time to go over Thrifty's policies to know what the total cost is before you book. When driving in Croydon or the rest of the U.K., you will need insurance. Thrifty requires that you show proof of insurance before you rent a car. The majority of countries require the driver to have insurance. You may be able to purchase additional insurance through Thrifty, if you think your insurance won't cover your rental during your trip. The major credit card issuers (American Express, Visa, MasterCard and Discover) will typically provide some coverage. But many of them have restrictions, like not covering large vehicles like premium models or some SUVs. Make sure to call and find out what kind of coverage is offered before you head to London. Thrifty, like many other rental agencies, requires a deposit upon reservation. The deposit can vary greatly based on which vehicle you book. Also, be sure there is enough on your credit card to lay down the deposit. Thrifty and most other rental car suppliers give you a full to full tank policy. We advise bringing it back filled up. To avoid any added expenses, it is best to find a filling station before you return the car to Thrifty. Do I need unlimited miles when I rent a car in Croydon? The majority of suppliers provide unlimited miles, but you need to make sure it's part of your package. It's helpful to know how far you want to drive so you can plan your trip in advance. Although most car rental suppliers offer unlimited mileage, if it isn't part of your package, those miles can pile up—and so can the extra cost. You may want to have unlimited miles if you are pondering some road trips to discover what else is in London. With everything there is to do in London, having access to your own automobile lets you explore at your own pace. When you are ready to discover more of the U.K., you can go wherever you like, without trying to signal for a cab or sign up for a ride-share. Heading out of town soon? Book your Thrifty Croydon car rental and drive to all the items on your itinerary at your own pace. Go through CarRentals.com and hit the roads in London, United Kingdom.